Tuesday, July 19th, a network of climate and social justice groups are coming together in London to host the award-winning South African documentary feature The Shore Break. 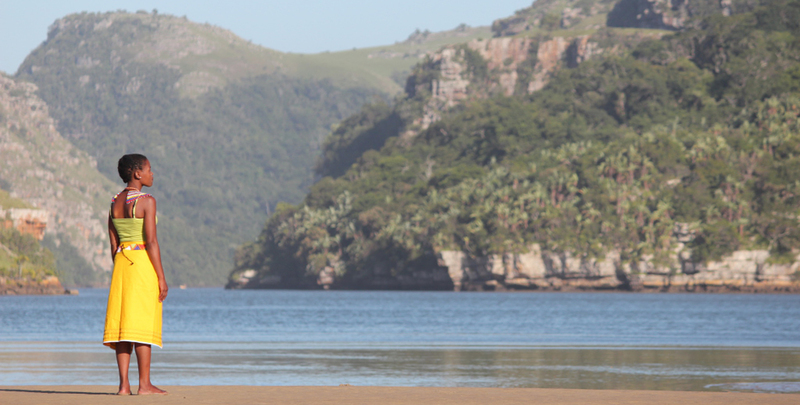 Released last year and directed by Ryley Grunwald, the film charts the tense run-up to the enactment of a major Titanium mining concession by the South African Government to Australia’s Mineral Resource Commodities Ltd (MRC) on the Pondoland Wild Coast. The Amadiba region is home to some 10,000 people and includes Xolobeni, Mdatya, Mtolani and Sigidi villages. Residents have been resisting the Xolobeni Mineral Sands Project since 2003. If fully realised, the coastal mines will be 22km long and 1.5 km wide, covering 2867 hectares. The communities have been organising and defending themselves, mounting legal challenges, lobbying government, and protesting and blockading construction equipment. The price already paid has been high. This March, Amadiba Crisis Committee Chairman Sikhosiphi Bazooka Rhadebe was shot eight times in his home and killed. He is one of four leading opponents of mining who have been killed or have lost their lives in suspicious circumstances. Local police have been implicated in repressions and cover-ups in the community, failing to act to bring suspects to justice. The Shore Break shows local tour guide and Amadiba community leader Nonhle Mbuthuma representing the majority of Xolobeni residents. Her opponent is her cousin Zamile Qunya a director of MRC’s other South African operator, Tormin. He claims mining will bring ‘modernity’ to Pondoland. Since the film was made Nonhle has suffered death threats and is in hiding as is tribal Headwoman Cynthia Baleni. Many villagers feel hunted and are taking to sleeping in surrounding mealie fields to avoid pro-mining gangs. The Shore Break reveals how Big Mining colonises communities and thinking via the classic corporate tactics of capturing national and local government authorities, deposing tribal leaders – in this case the Pondoland royal family – sowing division, paying and playing families off, and both physically and ideologically imposing projects through violent force. Solidarity is urgently needed as death threats mount, cliffs collapse, village water sources are dammed, hundreds of trucks stream in, and people are arrested and evicted. The fight is on and it has a London dimension. Graham Edwards, chief executive of the property group Telereal Trillium, owns a stake of at least 23% in MRC. He has been defending the the project as environmentally sound, ignoring the huge local opposition. Priorities for the community are justice for Bazooka, stopping the N2 Wild Coast Toll Road which will expand, escalate and embed mining in the region, and exposure of and deterrence of investors like Graham Edwards who are implicated in profiteering from the attacks in Xolobeni. After the film, we hope to connect with Nonhle online and hear the latest news before exploring solidarity action ideas for here in the UK. All proceeds to support the Amadiba people! This event is being organised by Marikana Solidarity Campaign, Wretched of the Earth, Movimiento Jaguar Despierto, London Mining Network, Gaia Foundation, Frontline Defenders and War on Want.